Good News for Volvo fans! 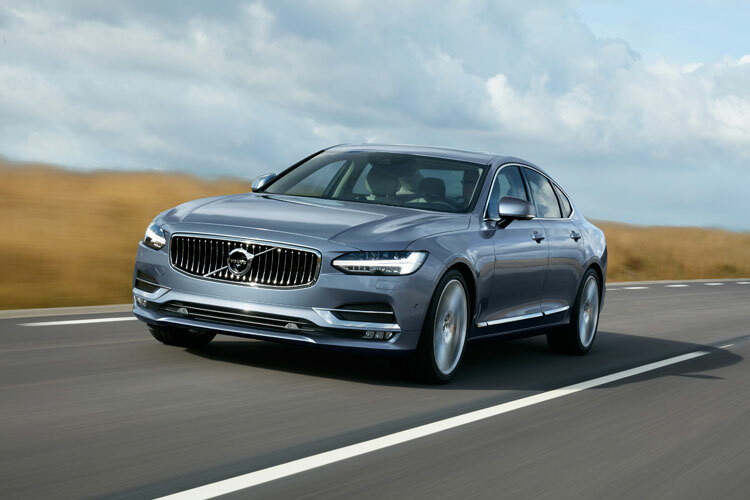 Volvo has now opened bookings for its upcoming top range S90 sedan before the model’s official launch which is scheduled to happen in the month of September this year (2016). The all new Volvo S90 would be essentially replacing the older S80 luxury sedan model in the existing line-up from Volvo. With this new introduction, the Swedish car manufacturer plans to make a great comeback by taking on the likings of other popular luxury sedans like Audi A6, BMW 5-series, Jaguar XF and Mercedes-Benz E-class. The all new Volvo S90 when launched in India would offer 2.0-litre diesel engine that comes in 2 states of tune. The base D4 version of Volvo’s engine churns out a maximum power of 190hp where as the more powerful D5 engine churns out 235hp of power. The Volvo S90 is also expected be launched in Petrol and hybrid powertrains in India. The Swedish automaker, Volvo is expected to launch the car at a very competitive price with a starting price of Rs 46 lakhs (ex-showroom Delhi). At the start, the company would be only launching the fully loaded trim and the lower-priced variants will be launched later. The Volvo S90 is based on Volvo’s modular SPA platform. The S90 brings the swedish carmaker’s latest design language which is first seen on the XC90 SUV (Sports Utility Vehicle). The distinctive styling features of the Volvo S90 includes vertical nose as well as ‘Thor’s Hammer’ LED DRLs in headlamps. The cabin of the car too shares many styling elements with the Volvo SUV with a large portrait-style touchscreen and an indientical instrument cluster as well as steering. For the very first time, the all new Volvo S90 sedan brings in Volvo’s radar-based safety aids in India. Share your opinion on Volvo S90 Sedan by commenting below.